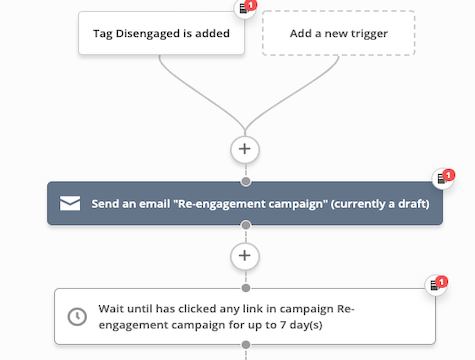 When a contact is tagged as âDisengaged,â send a re-engagement campaign. If they don't open or click a link within that re-engagement campaign, it will unsubscribe them. This will keep your deliverability high and prevent you from annoying people who aren't interested in what you send.